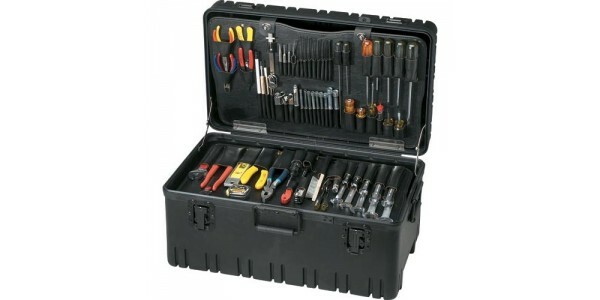 This kit offers a comprehensive selection of tools for electronic repair, plant maintenance and hardware installation. recessed 1/4-turn twist latches, spring-loaded steel handles, telescoping handle, padlock hasp and four ball-bearing rubber wheels. 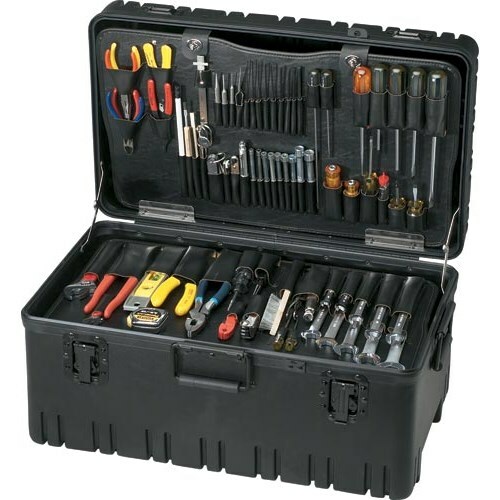 1 of Jensen Tools 07-00-006522 Extra Large Top Tool Pallet 24-3/4 x 14.5"
1 of Jensen Tools 07-6523 Extra Large Bottom Tool Pallet 25 x 14.5"
Specifications Dimensions (ID) (L x W x D) 17-3/4 x 12-3/4 x 8" Case Style Deluxe Poly, Gray ..
Jensen's extremely popular JTK-17 tool kit with metric equivalents Jensen's JTK-17STM was specifically designed for tech's who use only metri..